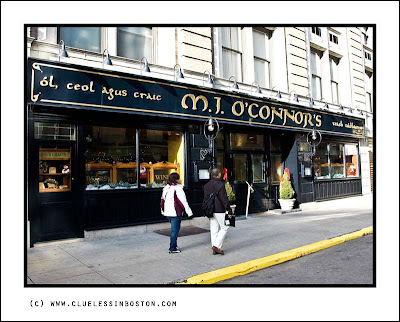 This week's doorway is M.J. O'Connors Irish Pub in the Park Plaza Hotel. O'Connors also has another establishment on the Waterfront. Seems a very beautiful place ... I like the style of the entrance! It's easy to recognize an irish place everywhere in the world! Ü I love irish pubs! Looks like a cool place! I liked the colours façade and I didn't know that it's traditional.Cool! Must be pretty popular around March 17th. Most Irish pubs are way cool. Sláinte! Without even looking properly I could tell it was Irish themed! Lol! Yes, it's very nice but is it any good? You know, the food and libations? Elegant and classical for an Irish Pub! Mmmmmn... I want a beer for breakfast now! Is 8 am to early for a good dark Irish brewskie?